This axial (cross sectional) CT image of the brain show a large, prominently calcified, heterogenous frontal lobe mass with associated mass effect. 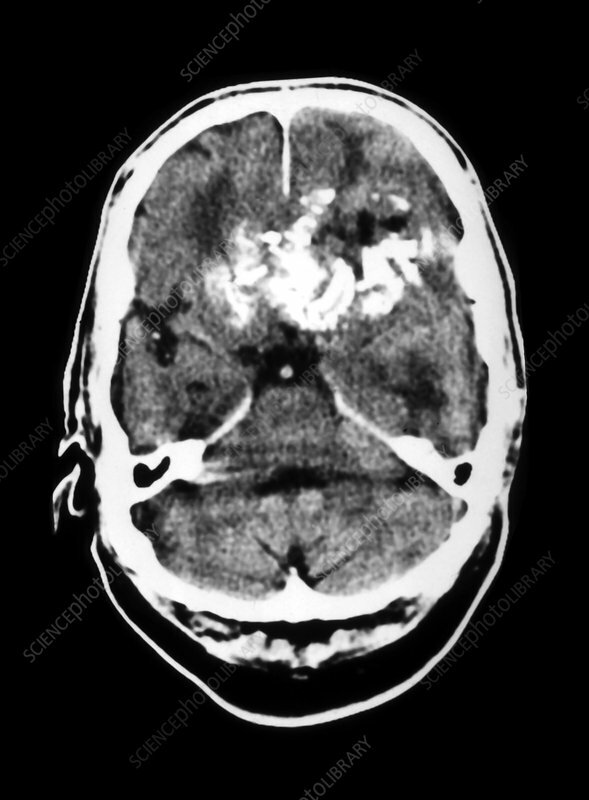 There is surrounding edema.This is a primary brain tumour- called an oligodendroglioma.This is a type of primary intracranial tumour- called a glioma which arise from the supporting elements. In this case the oligodendrocytes are glial cells which normally are involved with the formation of myelin. These types of tumour-s have a very high incidence of calcifications.